My Panograph came back from a routine servicing last week. The clasp, while functionally fine, never sat flush with the bracelet when closed. 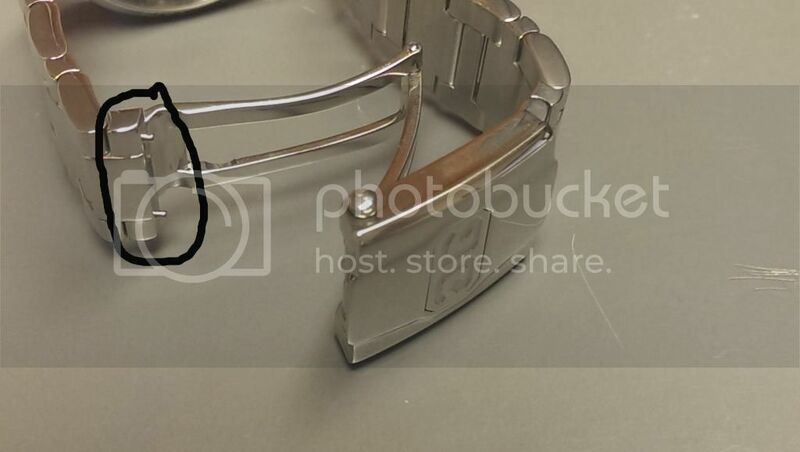 I asked GO to take a look at the bracelet clasp while they serviced the watch. As you can see, the left end now has two little pins sticking out to provide a better fit. My bracelet did not have these before, but I would be curious to know if other owners noticed a similar feature on their bracelets. It is a nice demonstration of GO's attention to detail and quality.